Rusholme Grange Holiday Cottage was originally a cottage for farm workers and has been beautifully renovated to become a holiday cottage sleeping 4/5 + cot. 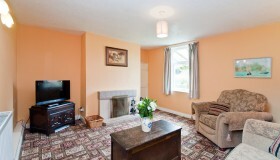 It is one half of a semi detached cottage, the farm house being the second half. The entrance is reached under a plant covered trellis. The sweet smell of Honeysuckle in spring, gives way to roses throughout the spring and summer months and a Grape Vine gives a tasty treat for our autumn guests. There’s a grassed lawn complete with BBQ for the outdoor chefs and an orchard to the rear, again a culinary treat for autumn visitors. 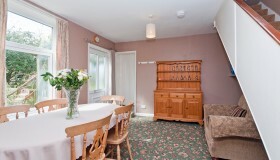 The centre of the cottage is the large sitting room. Read a book from the bookcase or relax watching TV or a DVD. .. in front of a roaring log fire. If you’re feeling particularly in need of peace and quite, just turn the lights down, open a bottle and laze in front of the open log fire. Don’t worry though, whichever room you’re in you’ll be warm and cozy as there’s central heating throughout. 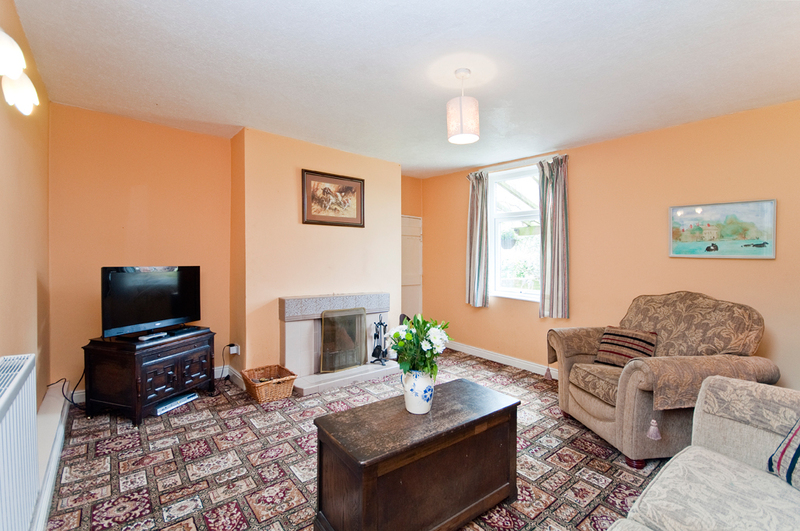 The Cottage is furnished throughout in traditional country furnishings reflecting it’s age as well as the open countryside all around. 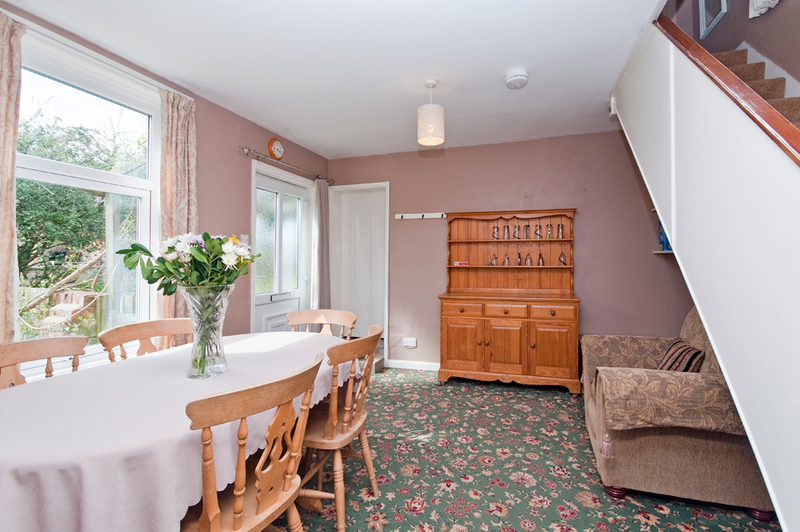 There’s a separate dinning room and a fully fitted kitchen, microwave included perfect for those “easy” meals. If you need a washing machine there is one in the kitchen. The tumble dryer is in the old boiler house at the end of the cottage. 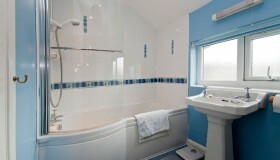 Upstairs there’s the bathroom complete with shower over the bath. All towels and bedding are, of course, included. 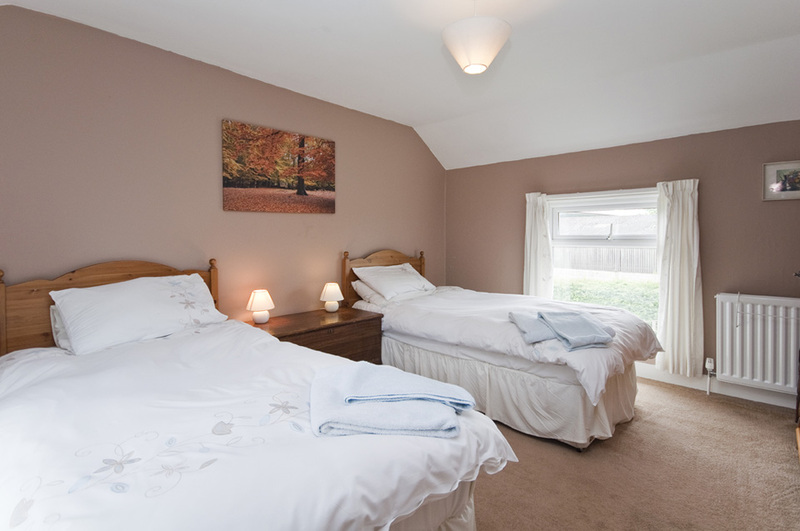 There are two generous bedrooms; one is a double and the other a twin room. 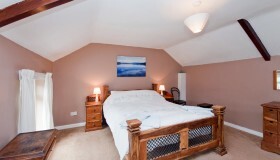 There is ample room for a cot if needed in either bedroom, provided free of charge on request, also a high chair. 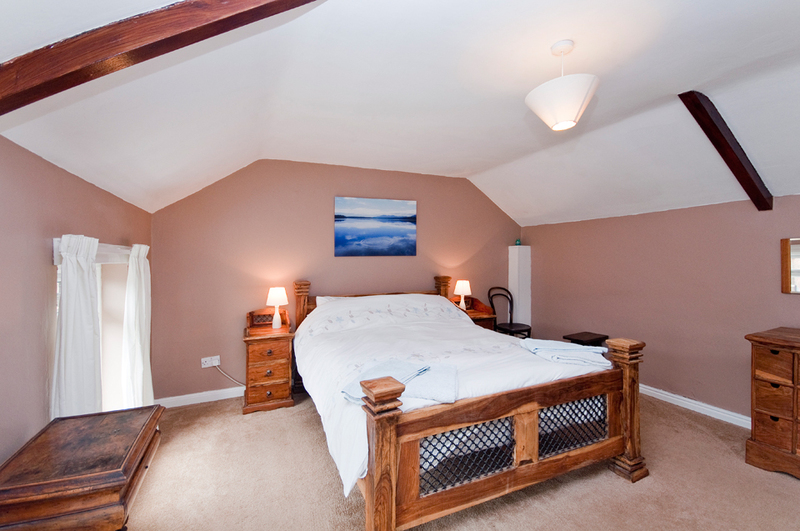 In the twin bedroom there is a treasure chest of toys for our youngest guests. 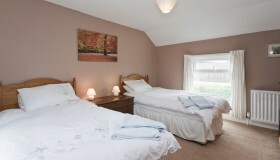 Both bedrooms have views over the farmyard and, from the twin, the orchard. For the children I’m sorry to say that Teddy isn’t always at home so you might want to bring your own. As Rusholme Grange is a working farm you will always find some animals to get to know. Unfortunately as we are a working farm we can’t let your pet visit, so sorry no dogs or other pets. An Accessibility Statement for the cottage can be seen here for those who require one.